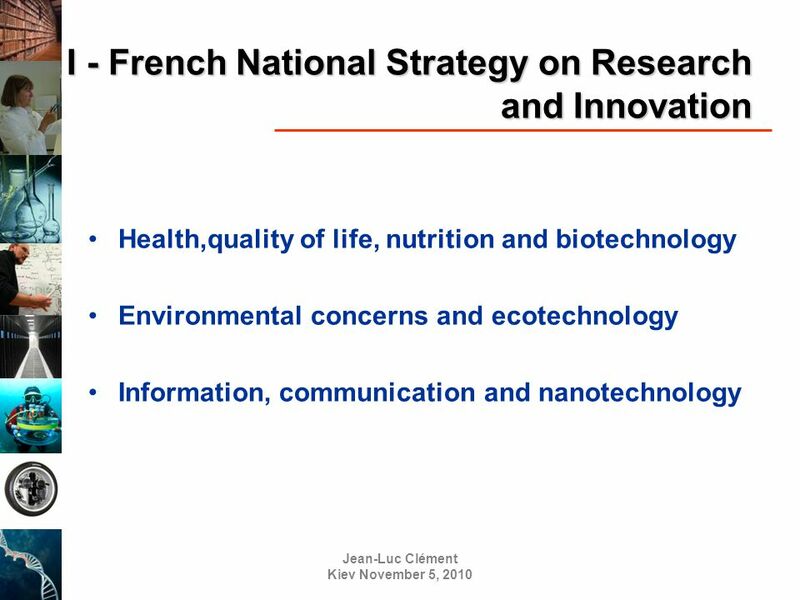 Jean-Luc Clément Kiev November 5, 2010 Update on S&T Priorities and Strategies in France 2010 Prof Jean-Luc Clément Scientific Advisor French Ministry. 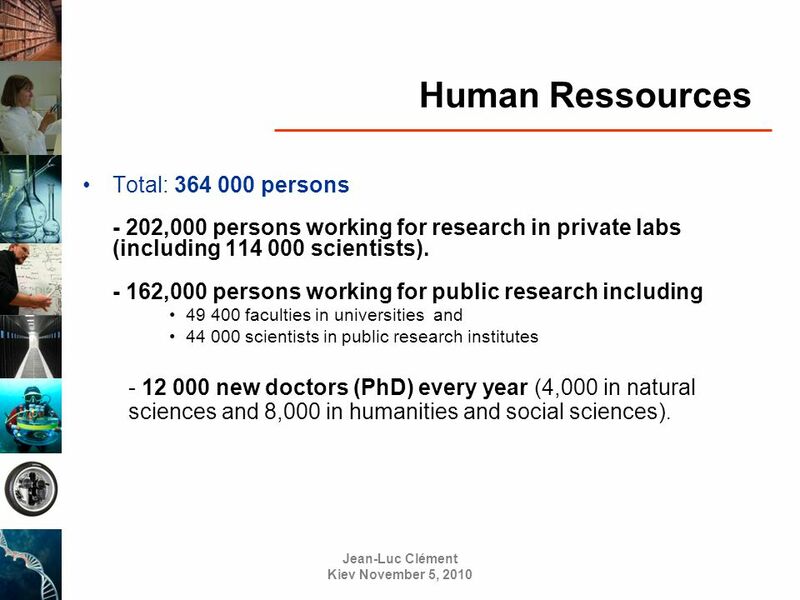 6 Jean-Luc Clément Kiev November 5, 2010 Human Ressources Total: 364 000 persons - 202,000 persons working for research in private labs (including 114 000 scientists). 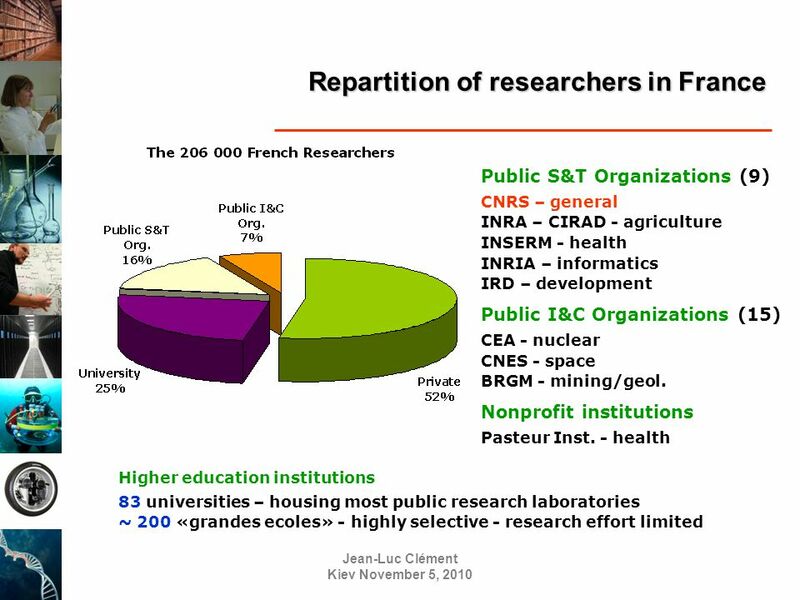 - 162,000 persons working for public research including 49 400 faculties in universities and 44 000 scientists in public research institutes - 12 000 new doctors (PhD) every year (4,000 in natural sciences and 8,000 in humanities and social sciences). 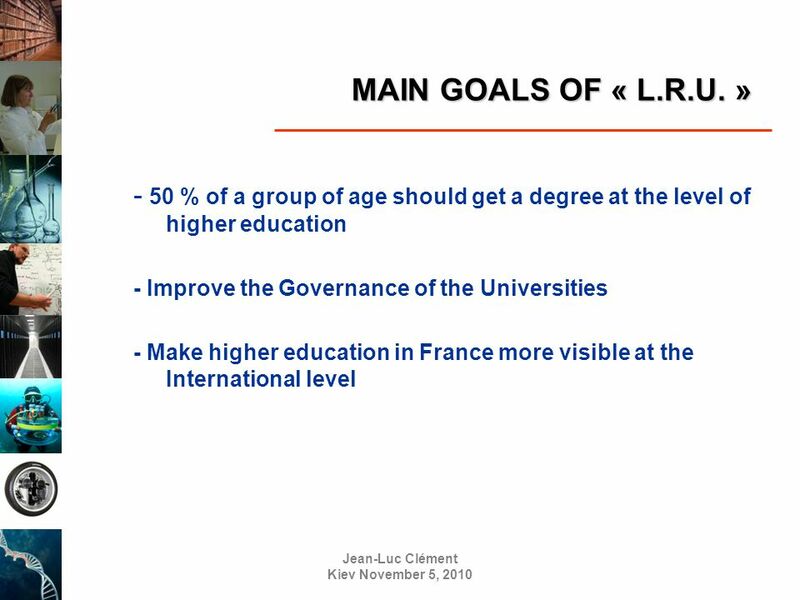 13 Jean-Luc Clément Kiev November 5, 2010 A stronger governance for the universities (LRU : 2007) The President of the University has the responsability to prepare the « pluri-annual contract » (4 years) setting the policy of the university, between this one and the Ministry of Higher Education. 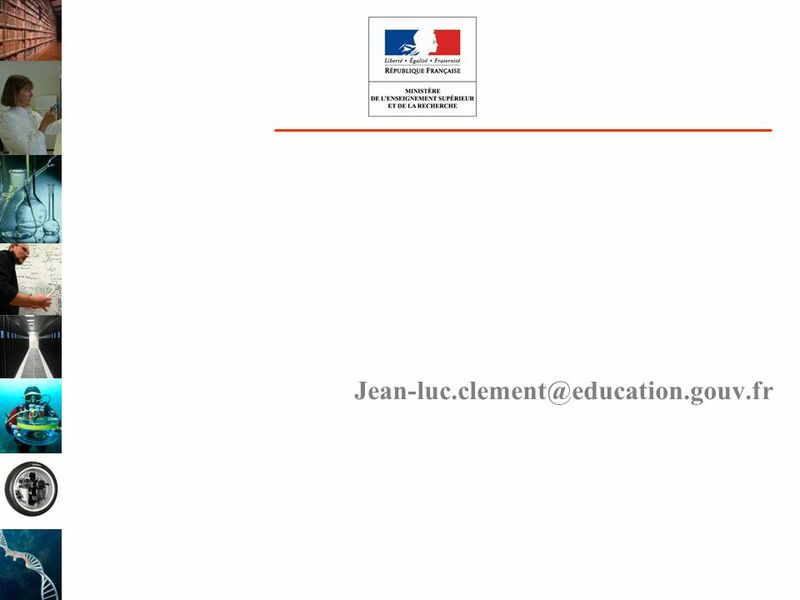 He is elected for 4 years and can be reelected once. 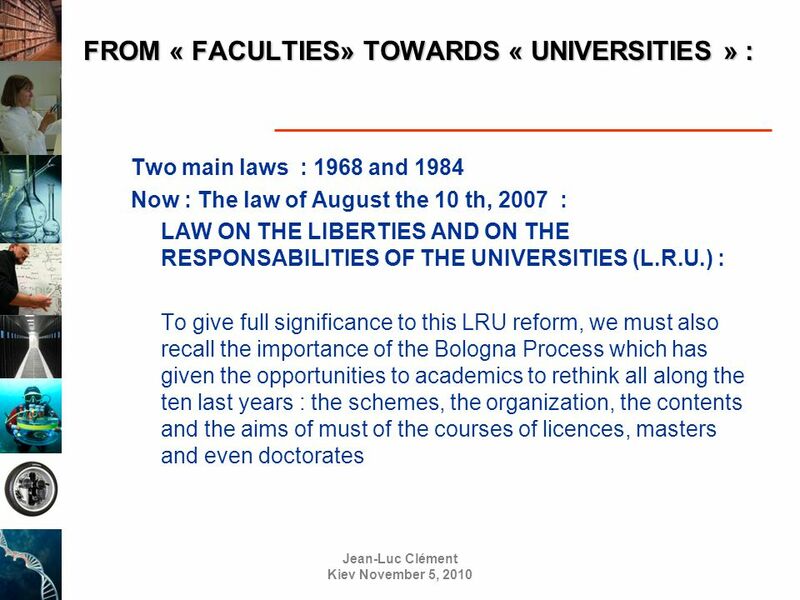 He could now decide to veto any recruitment. 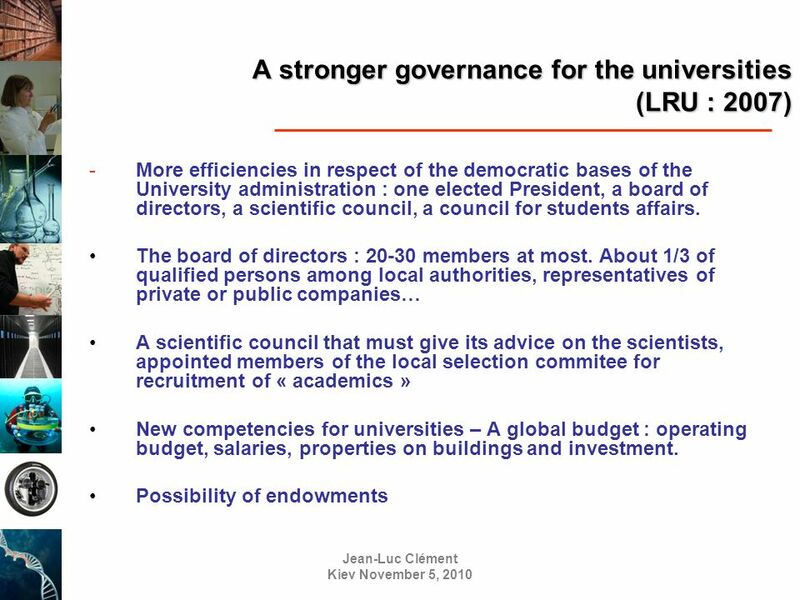 On advice of his Board, he can modulate the time schedule of the academics that is shared between teaching and research. 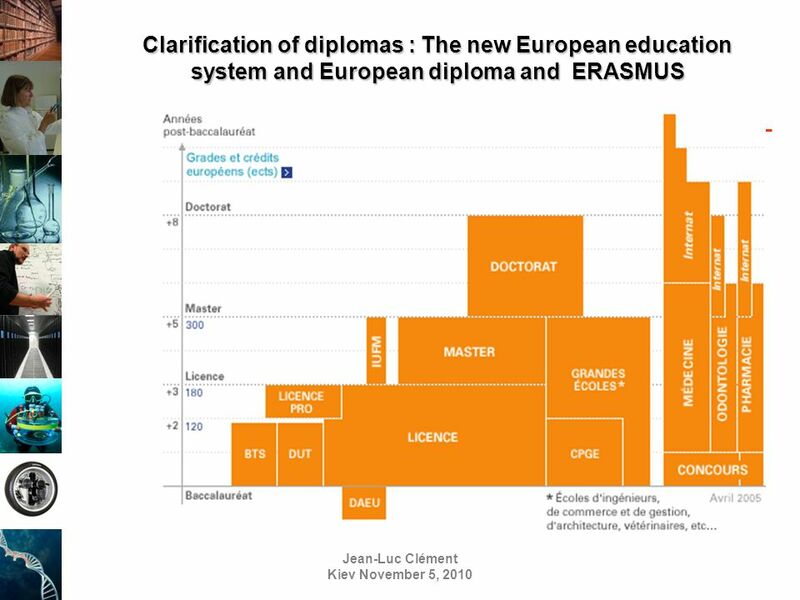 He can also modulate bonuses to the academic staff. 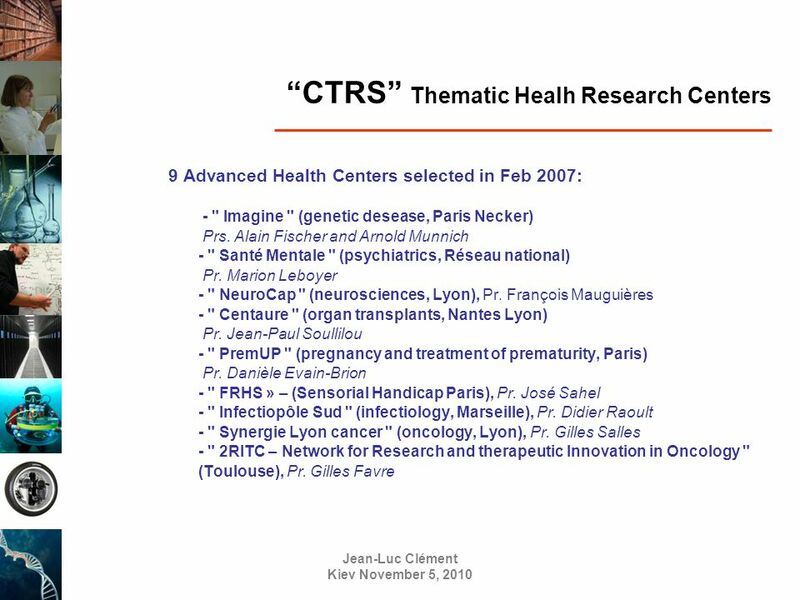 17 Jean-Luc Clément Kiev November 5, 2010 RESEARCH LABORATORIES 25 Public research institutes CNRS, INSERM, INRA, INRIA, CEA, CIRAD, IRD, IFREMER, CNES, BRGM, OSEO, … Higher education institutions: - 83 universities - Grandes Ecoles; Grands établissements; Ecoles d’ingénieurs. 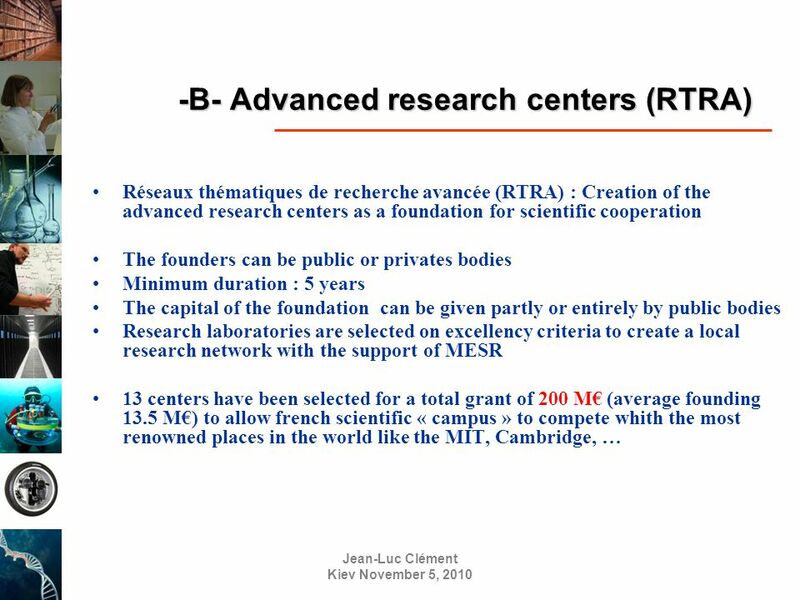 Private Research: companies and foundations. 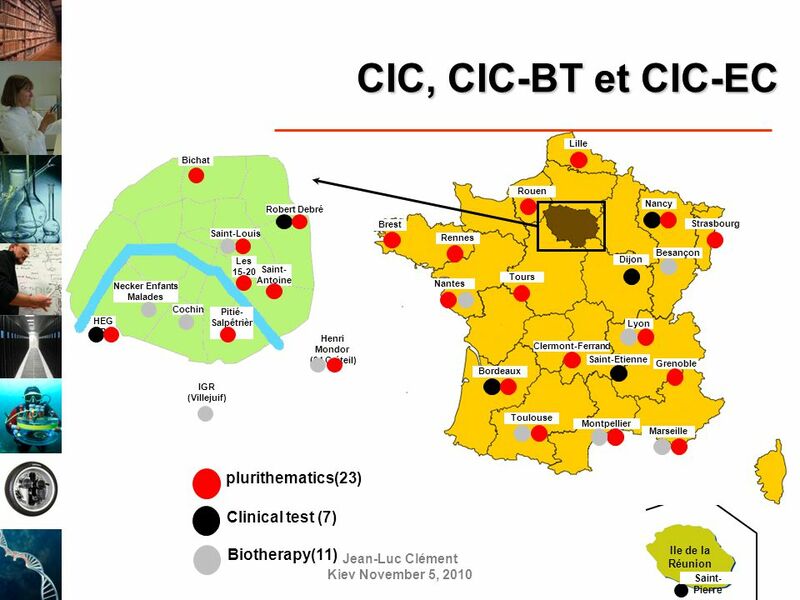 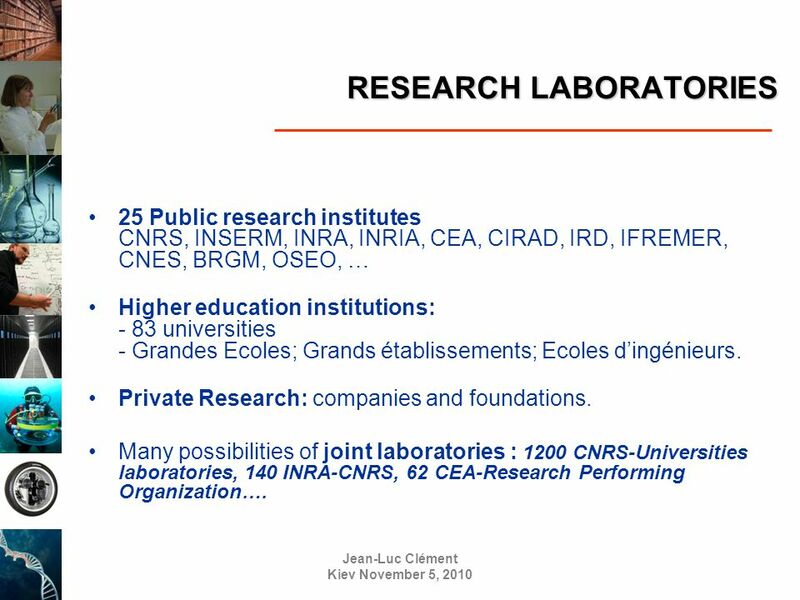 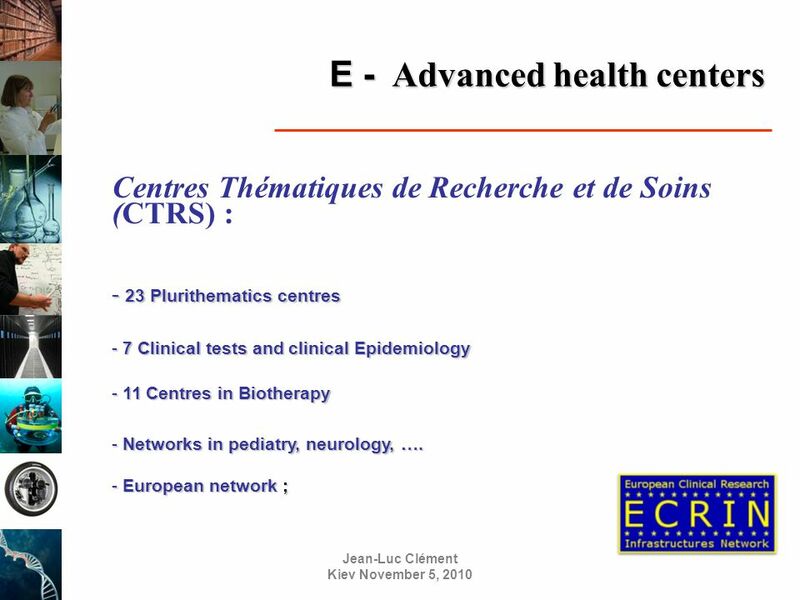 Many possibilities of joint laboratories : 1200 CNRS-Universities laboratories, 140 INRA-CNRS, 62 CEA-Research Performing Organization…. 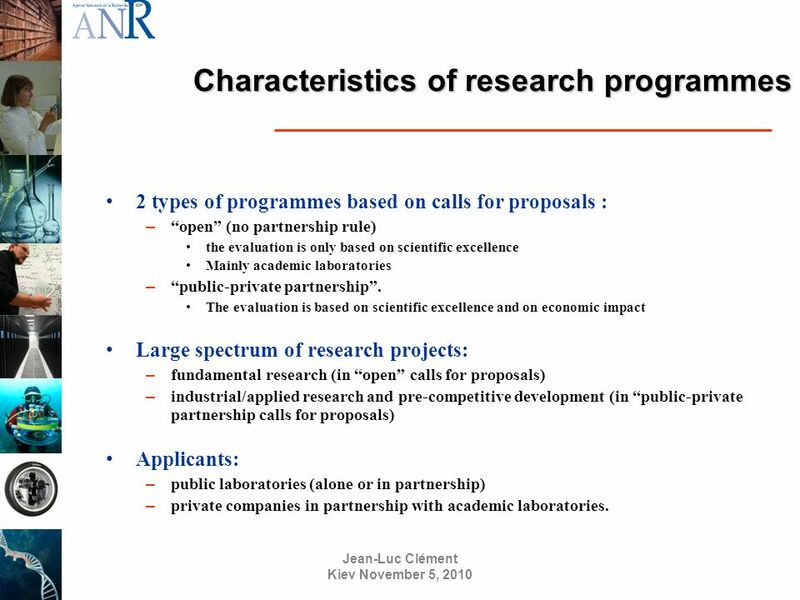 22 Jean-Luc Clément Kiev November 5, 2010 Characteristics of research programmes 2 types of programmes based on calls for proposals : – “open” (no partnership rule) the evaluation is only based on scientific excellence Mainly academic laboratories – “public-private partnership”. 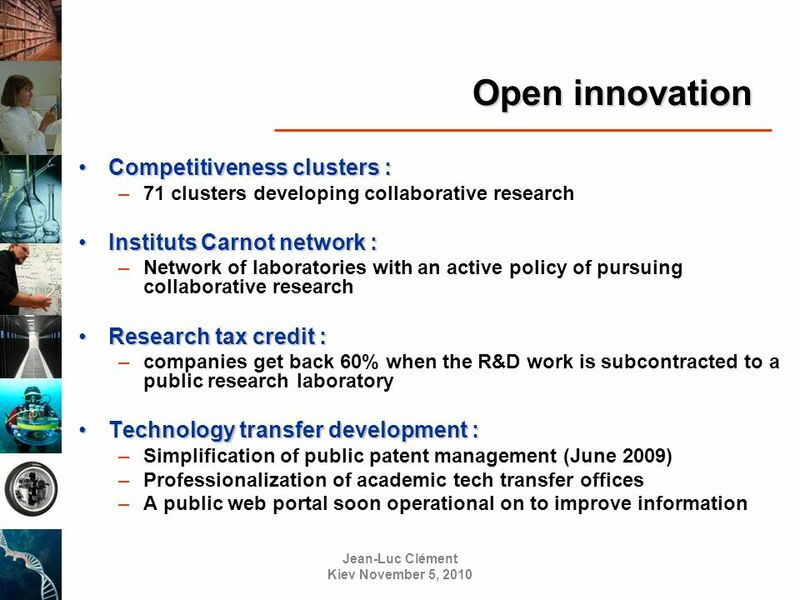 The evaluation is based on scientific excellence and on economic impact Large spectrum of research projects: – fundamental research (in “open” calls for proposals) – industrial/applied research and pre-competitive development (in “public-private partnership calls for proposals) Applicants: – public laboratories (alone or in partnership) – private companies in partnership with academic laboratories. 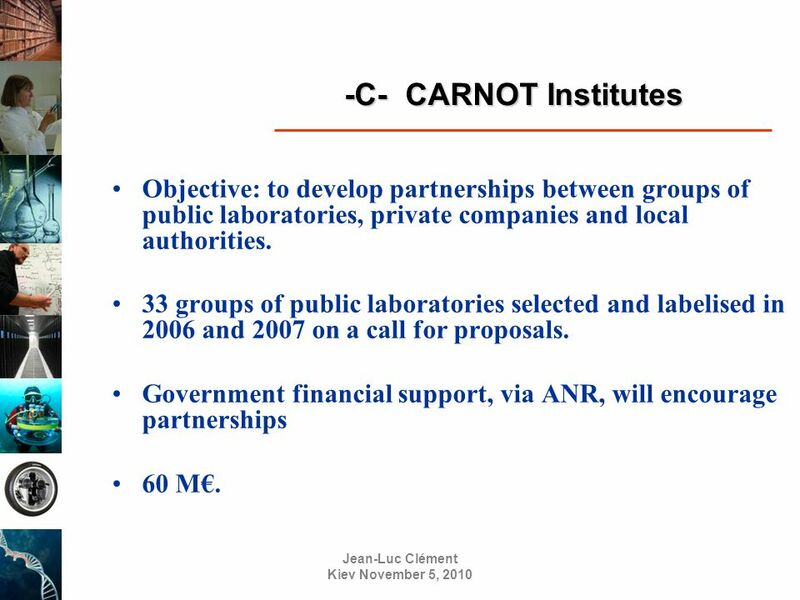 29 Jean-Luc Clément Kiev November 5, 2010 -C- CARNOT Institutes Objective: to develop partnerships between groups of public laboratories, private companies and local authorities. 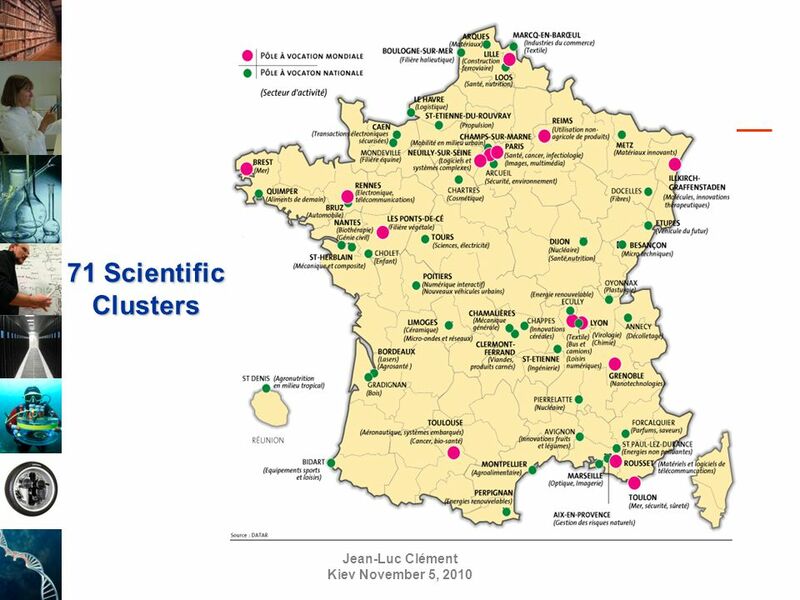 33 groups of public laboratories selected and labelised in 2006 and 2007 on a call for proposals. 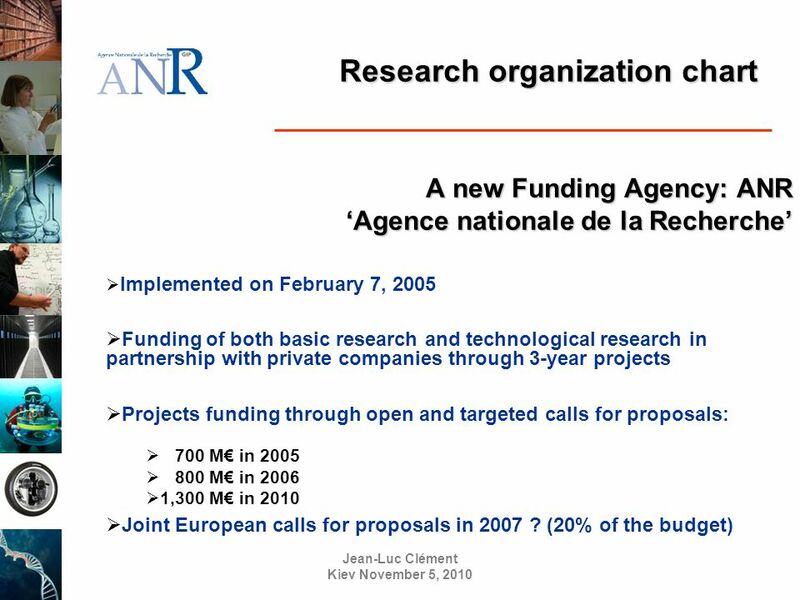 Government financial support, via ANR, will encourage partnerships 60 M€. 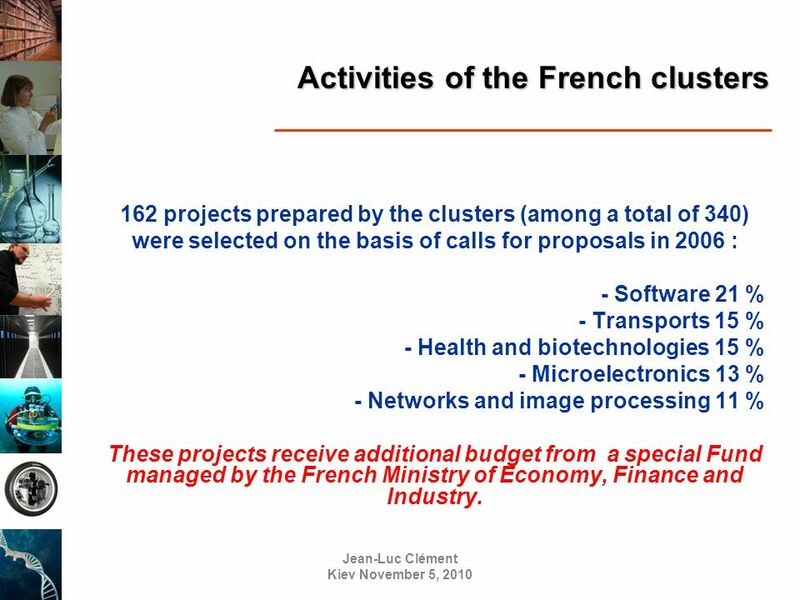 35 Jean-Luc Clément Kiev November 5, 2010 Activities of the French clusters 162 projects prepared by the clusters (among a total of 340) were selected on the basis of calls for proposals in 2006 : - Software 21 % - Transports 15 % - Health and biotechnologies 15 % - Microelectronics 13 % - Networks and image processing 11 % These projects receive additional budget from a special Fund managed by the French Ministry of Economy, Finance and Industry. 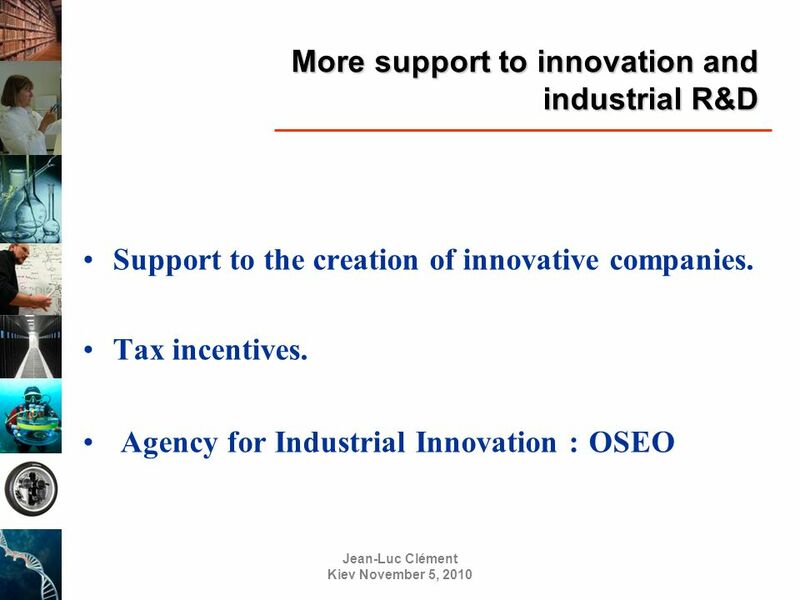 43 Jean-Luc Clément Kiev November 5, 2010 Support to the creation of innovative companies  The Innovation and Research Act (1999)  533 scientists received an agreement for taking part in business startups since 1999. 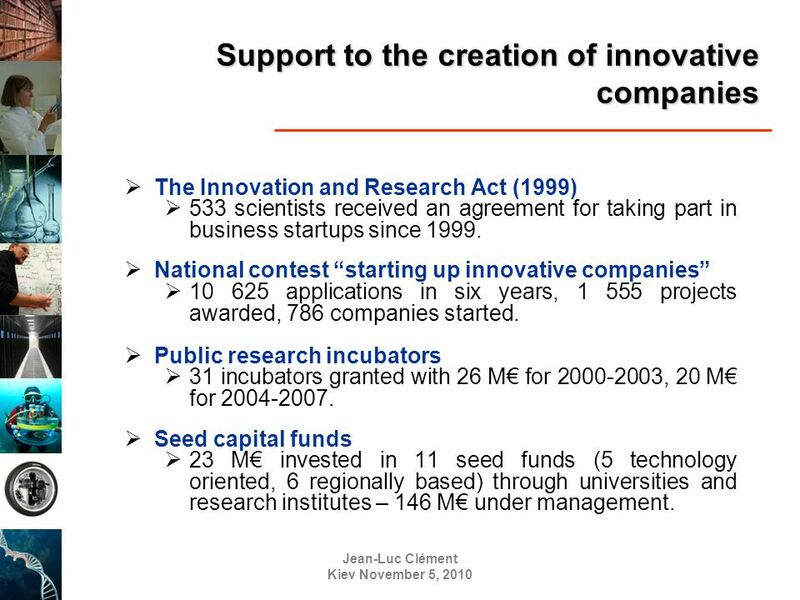  National contest “starting up innovative companies”  10 625 applications in six years, 1 555 projects awarded, 786 companies started. 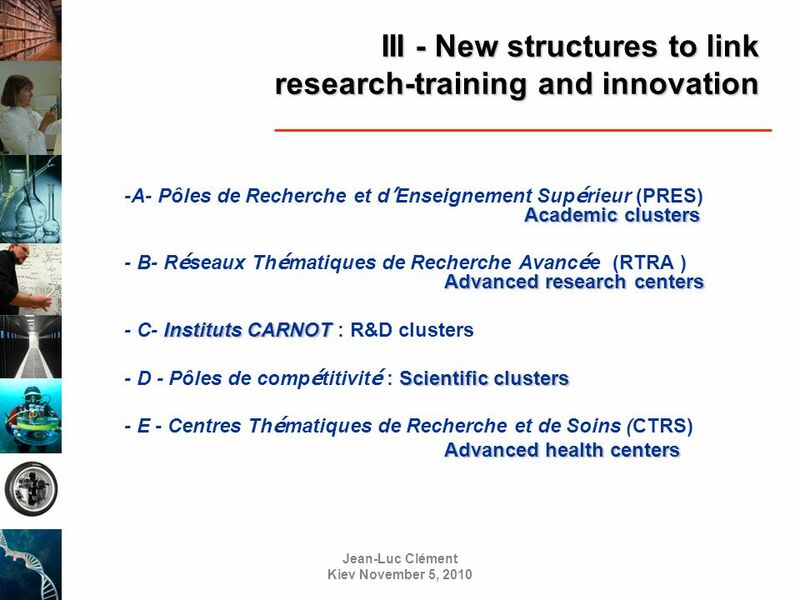  Public research incubators  31 incubators granted with 26 M€ for 2000-2003, 20 M€ for 2004-2007. 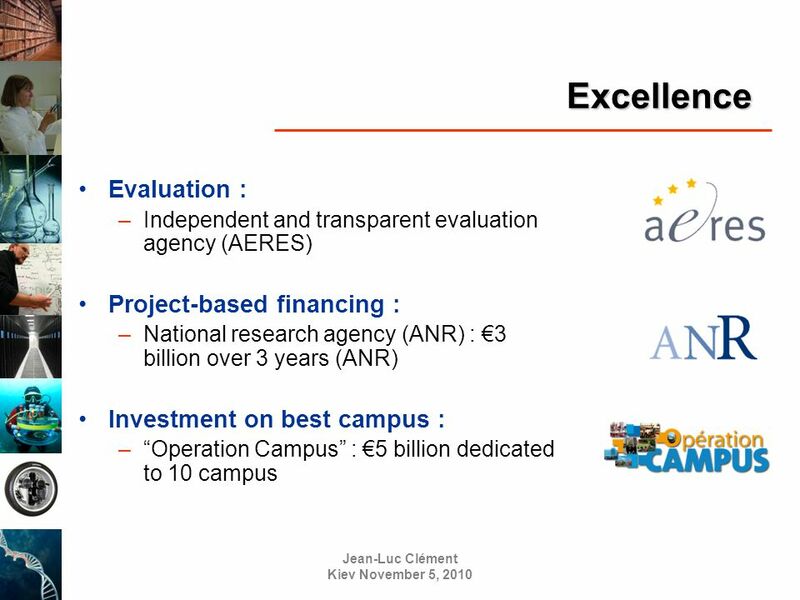  Seed capital funds  23 M€ invested in 11 seed funds (5 technology oriented, 6 regionally based) through universities and research institutes – 146 M€ under management. 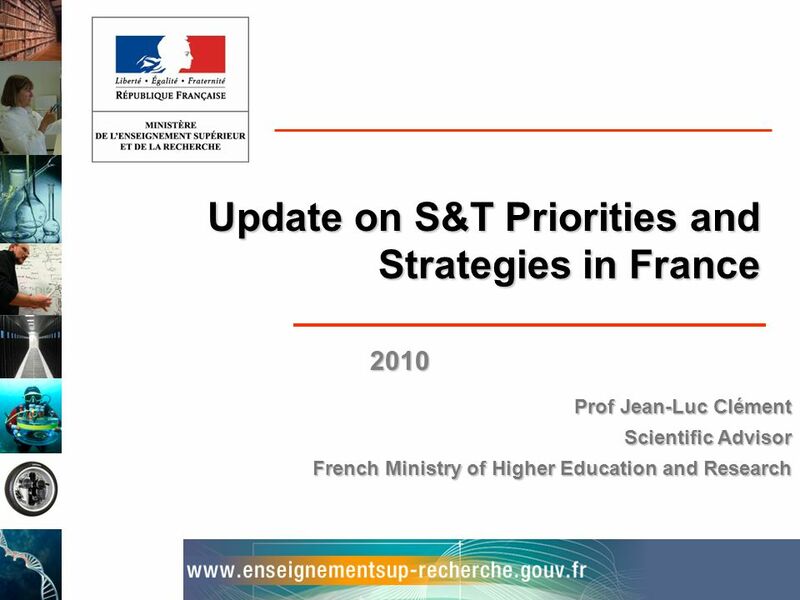 Download ppt "Jean-Luc Clément Kiev November 5, 2010 Update on S&T Priorities and Strategies in France 2010 Prof Jean-Luc Clément Scientific Advisor French Ministry." 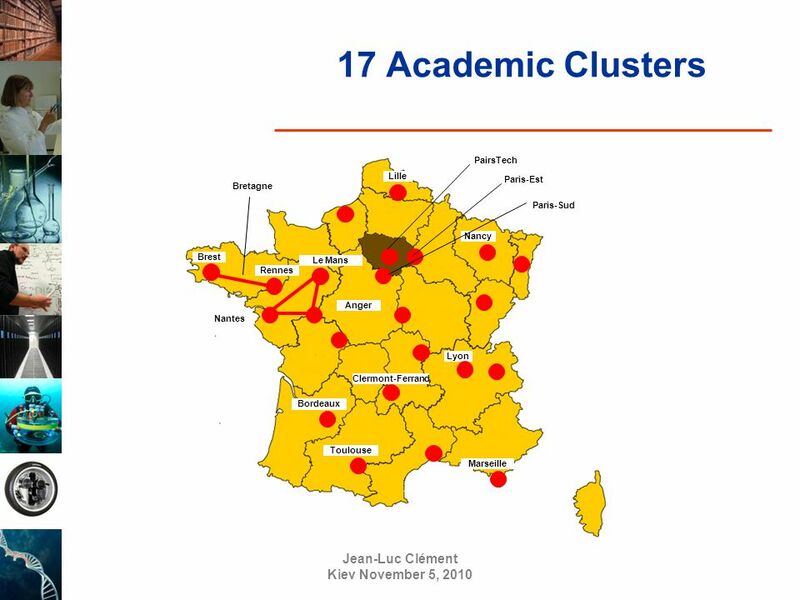 Pôles de compétitivité Competitiveness Clusters. 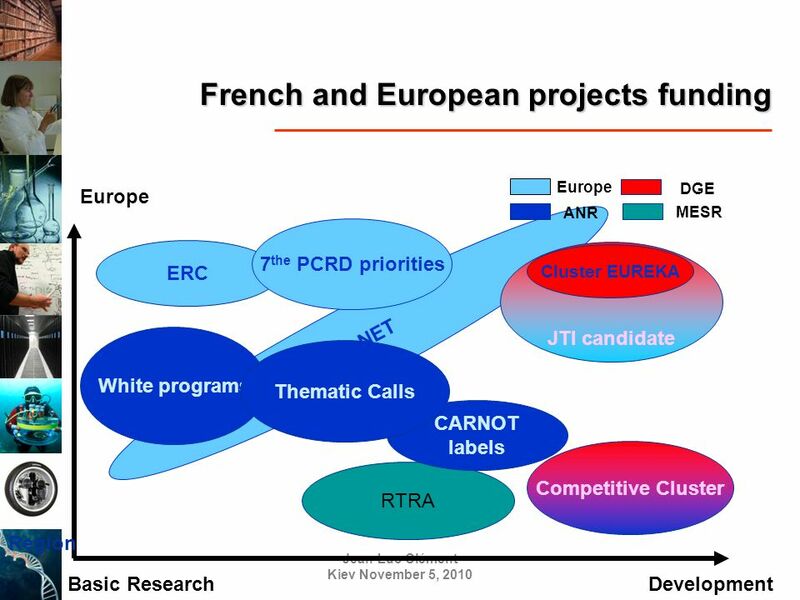 Political issues French industry (esp. 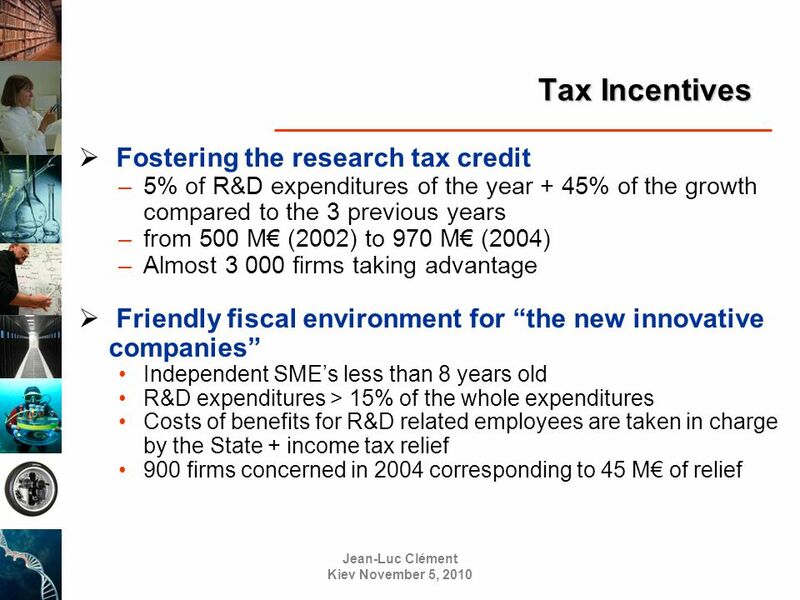 SMEs) mainly middle- to low-tech industry Weak link between research. 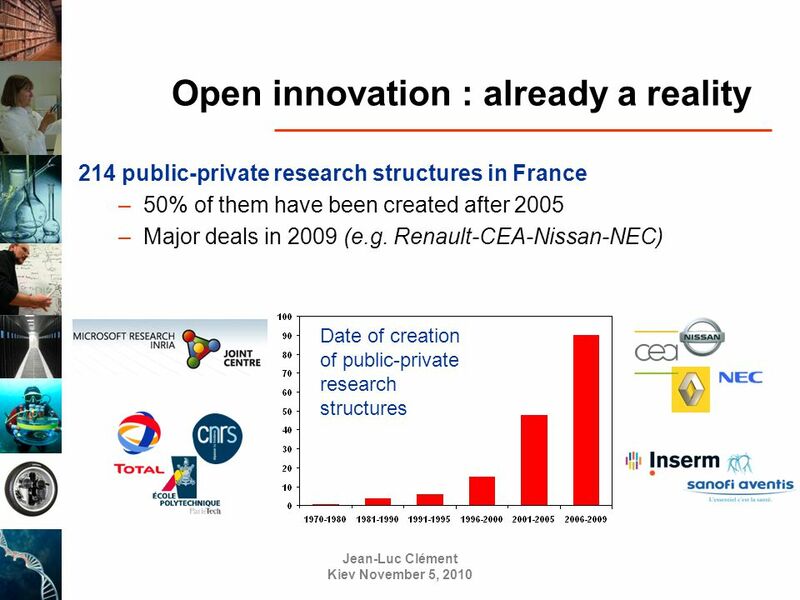 Île de France long term economic challenges and public governance Jean-Claude Prager, ADIT LSE June, 23rd. 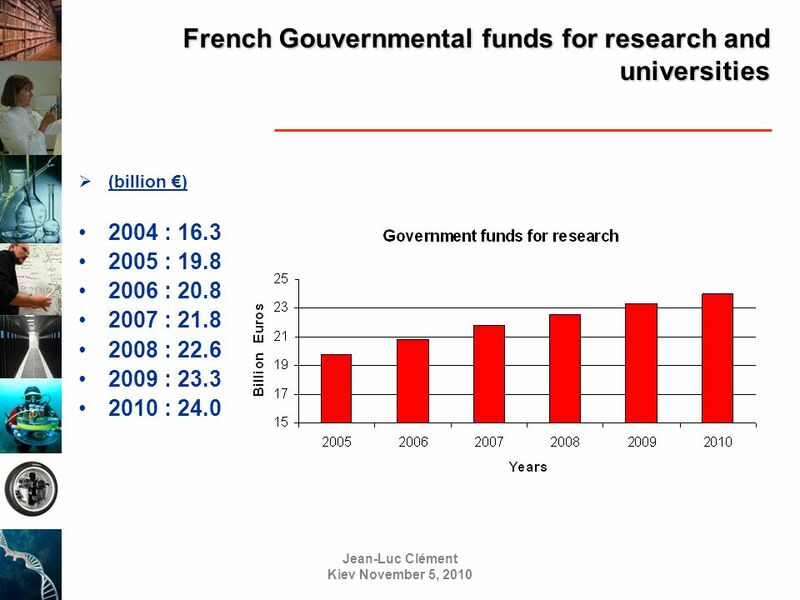 Toward the Paris-Saclay University 17/12/2014 toward the UPSay Jean Zinn-Justin Since at least two decades, at the government level, there is constant. 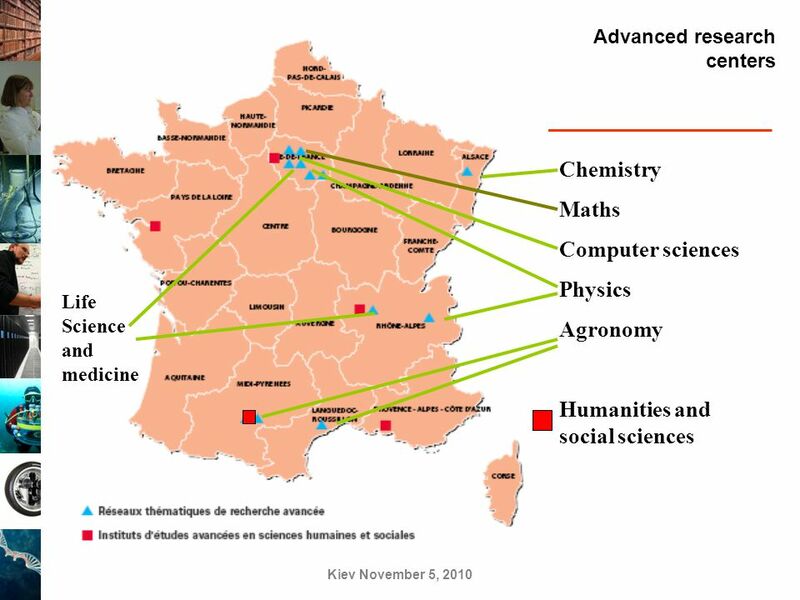 AGROCAMPUS OUEST Higher education and research Agriculture Food sciences Life sciences Environment Sea and Seashore Horticulture Landscaping. 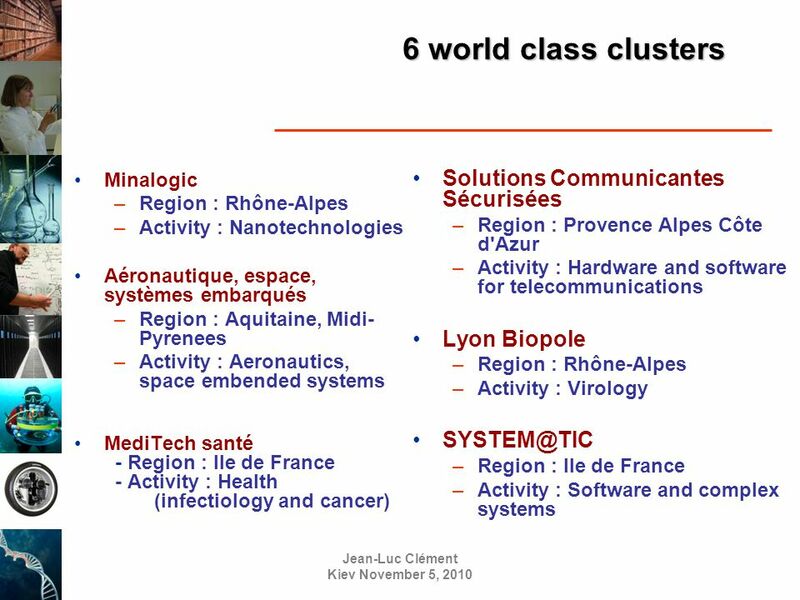 11 Competitiveness clusters in Rhône-Alpes (Pôles de compétitivité) An important part of the French policy to encourage partnerships in industrial innovation. 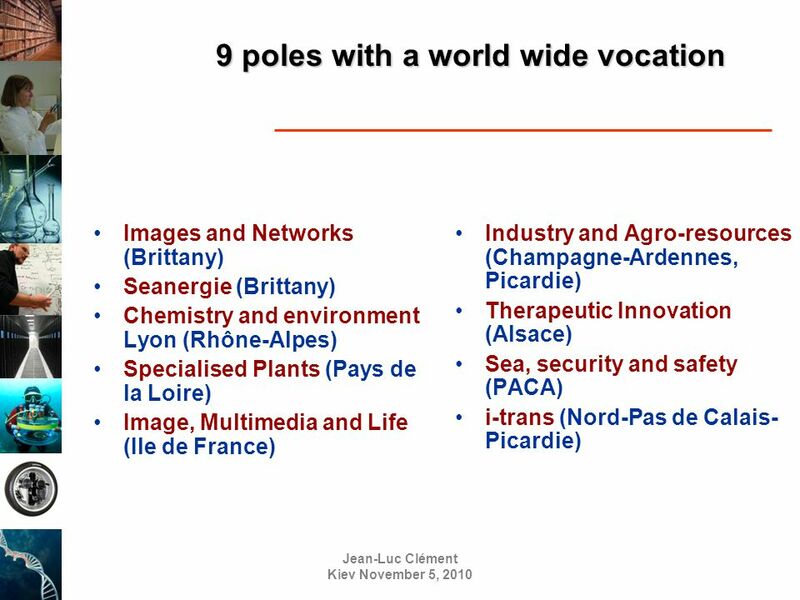 Télécom Bretagne A graduate Engineering School and a Research Centre in the field of Science and Information Technologies. 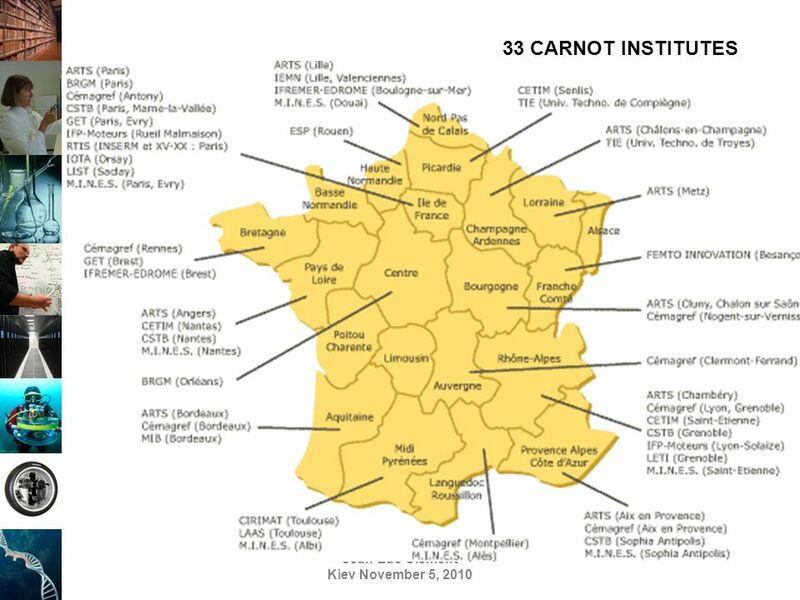 CIRAD is a French agricultural research centre working for development in tropical and subtropical countries and the French overseas regions Most of CIRAD’s. 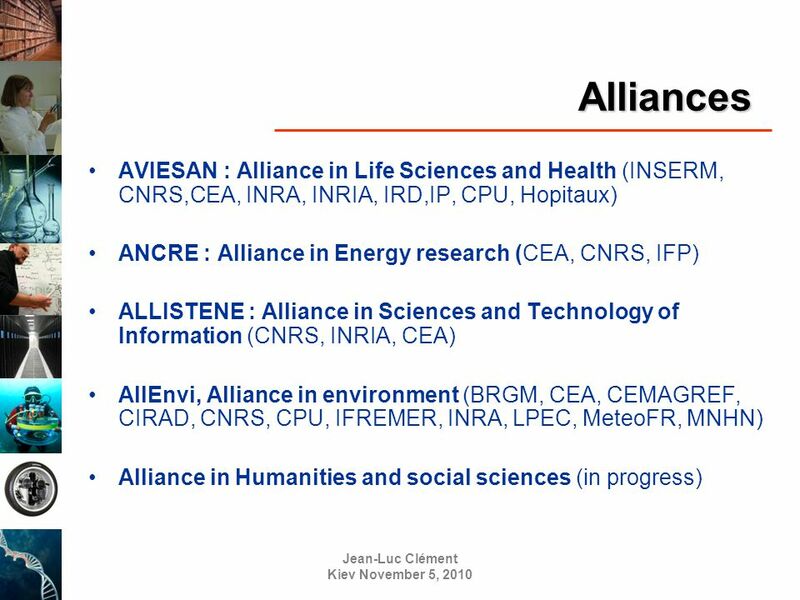 A L I M E N T A T I O N A G R I C U L T U R E E N V I R O N N E M E N T INRA: for the Earth and for Man Public mission oriented research Sustainable agriculture. 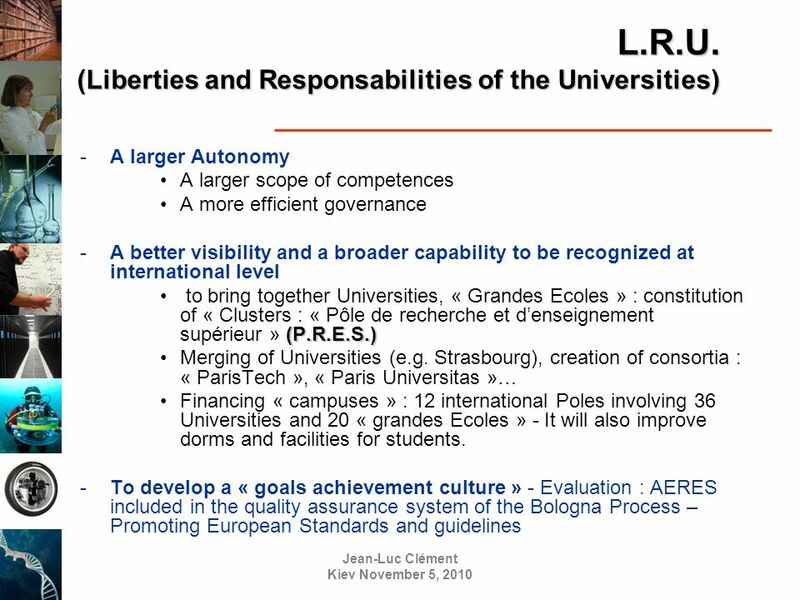 The University of Rouen Normandy - France. 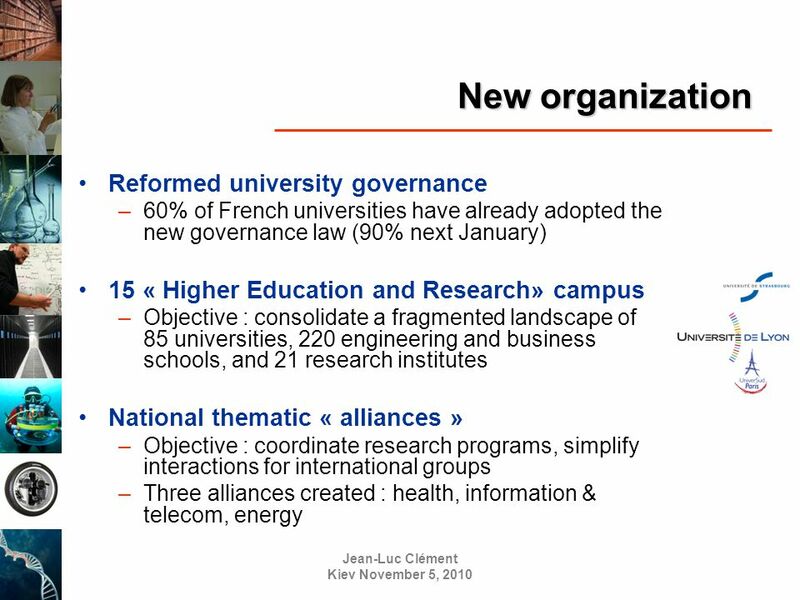 French higher education: new developments with respect to the Bologna process and new relations for more effective.